Asheville is a magical place to spend the holidays. With Christmas Day almost here, the festive atmosphere is more palpable than ever. 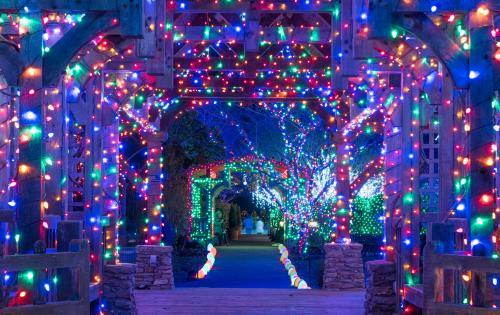 Discover 8 ways Asheville Sparkles for the holidays! Asheville&apos;s shopping districts are bustling with shoppers picking out last-minute gifts. Families are enjoying the light shows and decorations throughout the city. 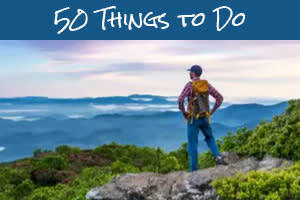 And, Asheville&apos;s music scene is providing a sound track for the season with great live entertainment. 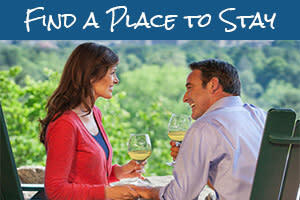 We wish you the warmest of holiday greetings as you explore all Asheville has to offer! 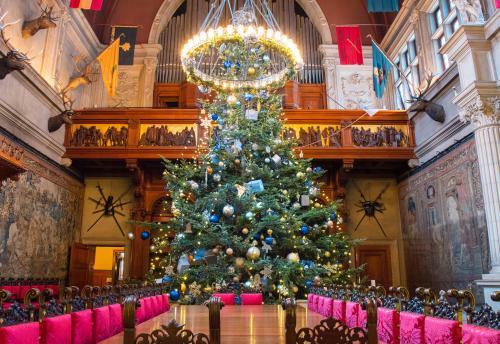 Christmas at Biltmore: See stunning decorations at America&apos;s largest home. Nearly 100 hand-decorated Christmas trees, include a 35-foot Fraser Fir in the Banquet Hall, transform the home for the holidays. In the evenings, Biltmore glows with candlelight and firelight for Candlelight Christmas Evenings (separate admission). Step back in time and experience Biltmore much like the Vanderbilt&apos;s did during their first Christmas Eve in 1895! 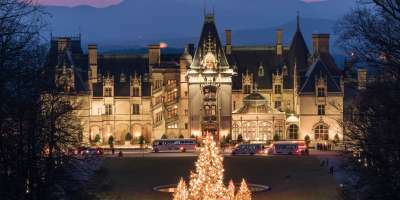 See our Christmas at Biltmore guide for more information. Winter Lights at the North Carolina Arboretum: A half million lights illuminate the nationally-known gardens creating a whimsical winter wonderland! Along the self-guided walking tour, see magical glowing natural landscapes including the popular Quilt Garden and 50-foot animated tree! Tickets must be purchased in advance. Check out our guide to Winter Lights for tips on visiting. In nearby Black Mountain, the historic Red Rocker Inn Bed & Breakfast serves as the beautiful stage for a dinner show featuring the Charles Dickens classic, "A Christmas Carol." This is a one-man show described as one-third Masterpiece Theater and two-thirds Saturday Night Live interactive comedic theater. The menu includes prime rib and other festive delights. The dinner show is December 18-22. 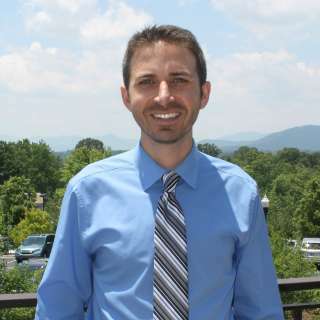 Also in Black Mountain, the Front Porch Theatre at the Black Mountain Center for the Arts presents It&apos;s a Wonderful Life: A Live Radio Play by Joe Landry. It&apos;s a take on the classic holiday movie with a twist: it is staged as live radio broadcast. Five actors create all the characters and sound effects to tell the story. Shows are December 22 and December 23 at 7:30 p.m.
Support the Make-A-Wish Foundation and enjoy great music by attending the 16th Annual Christmas Party Benefit Concert at The Orange Peel on Friday at 7 p.m. The show will feature Dave Desmelik, Chappell with special guest Artimu Pyle, Halden Vang, The Log Noggins and the Travers Brothership. On Saturday night at 8:30 p.m., spend an evening with The Midnight Plowboys at Isis Restaurant and Music Hall. 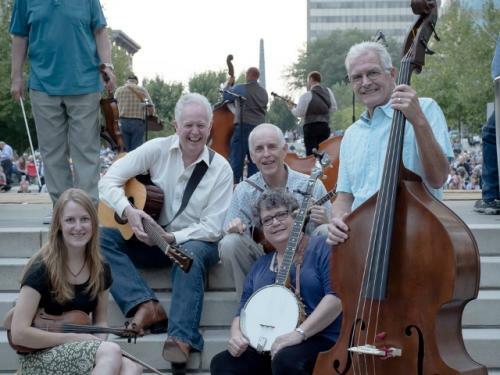 The Midnight Plowboys are a traditional roots music string band comprised of talented pickers and singers who are also fun-loving stage entertainers. Snag a photo with Santa before he makes his big journey! Through Christmas Eve, ever family who visits with Santa Claus at the Asheville Outlets will receive two free 4X6 prints and a digital download of one image. Each family is allowed one free photos session this Christmas season. The outlets are open Monday through Saturday, 11 a.m. to 8 p.m., and Sundays, 12-6 p.m.
Asheville Pizza & Brewing is showing six different holiday classics during the seven days leading up to Christmas. The movies are How the Grinch Stole Christmas, Love Actually, National Lampoon&apos;s Christmas Vacation, Elf, Edward Scissorhands and Die hard. Many of the movie nights sell out in advance so be sure to get your tickets as soon as possible! See the sights and hear the sounds of the season as you ride the Holly Jolly Christmas Trolley Tour by Gray Line Tours! This year&apos;s tours feature a live musical accompanist to help lead carols. 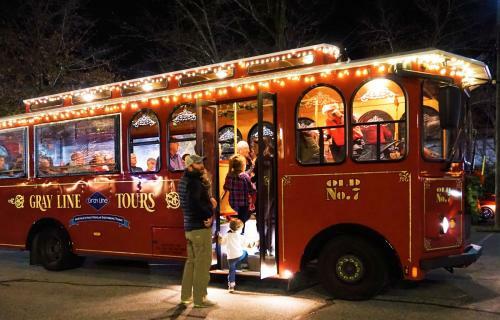 The Trolley tours depart Olde World Christmas Shoppe in Biltmore Village at 7 p.m. and travel through Historic Montford, Grove Park, the Omni Grove Park Inn, Pack Square and downtown Asheville. The Trolley operates Monday, Thursday, Friday and Saturday through December 30. The trolleys are heated and enclosed with clear curtain windows, but it wouldn&apos;t hurt to still dress in warm clothes.